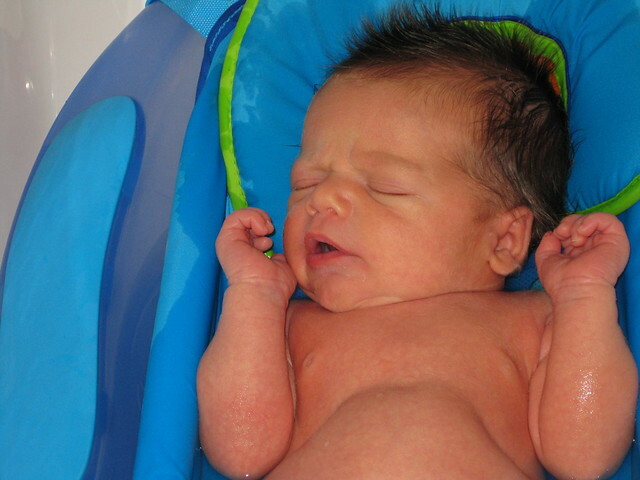 Little Connor man had his first bath last Friday. We had to wait a bit longer than normal because he had a piece of his belly button that had not healed at his 2 week check up, so they put some more silver nitrate on it to help it heal. I was so excited about bathing him because all of that fluffy black (turning brown) hair that he has gets super oily, and that's just gross to me. The first five minutes went great, and I really thought he was going to LOVE bathtime. Oh contrare! After the first 5 minutes of bathtime he screamed. He was not a fan. 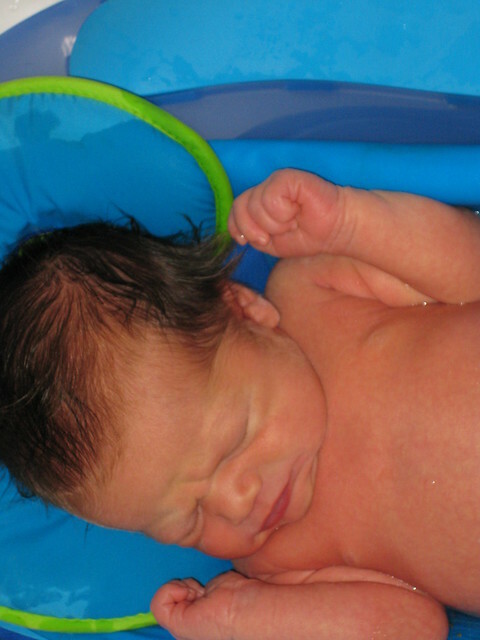 This didn't surprise me too much since most babies take a bit to get used to bathtime. We quickly wrapped up our cleaning session, made it to the room (not without him peeing on himself and me!) and got him dressed. Better luck next time momma!